A coalition of community and labour organizations is hosting a local summit in Kitchener-Waterloo in time for the September 6 by-election. The by-election will determine whether or not the McGuinty government can pick up the seat vacated by former MPP Elizabeth Witmer and regain a majority government in Ontario. Many community groups are fearful that a majority government will take off the brakes from the McGuinty government’s austerity plan and bring greater hardship to Ontarians who can least afford the cuts. Ontario already has the fastest growing gap in income inequality in Canada, much of it fueled by the current austerity plan. The coalition argues we need a clear economic plan to restore jobs and build our community in a way that benefits the people of Ontario. Concerned citizens are asked to come to the Royal Canadian Legion Polish Branch, 601 Wellington St. N., Kitchener at 5:30 pm on Wednesday, August 29. A light supper will be provided courtesy of the coalition. This event is being sponsored by the Ontario & Waterloo Region Health Coalitions, the Waterloo Regional Labour Council and the Ontario Federation of Labour. 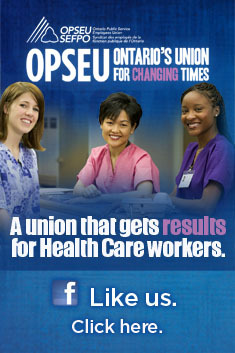 This entry was posted in Ontario Health Coalition and tagged Common Front, Kitchener Waterloo Byelection, Summit. Bookmark the permalink.